It’s officially Chipotle Week here on NTTC! 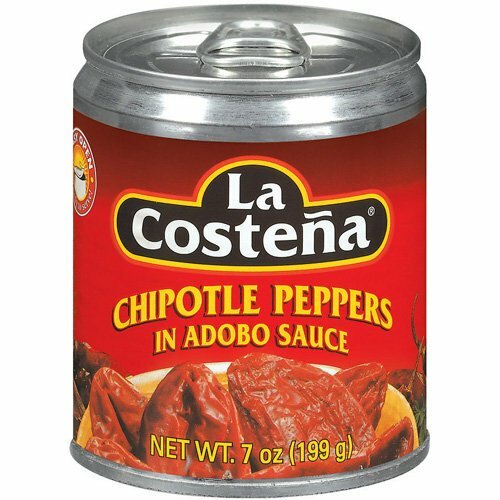 Do you guys ever buy these little cans of Chipotle peppers in adobo? I’ve used them from time to time over the years, and they never disappoint. The peppers pack a punch and the adobo sauce is incredibly full of flavor. 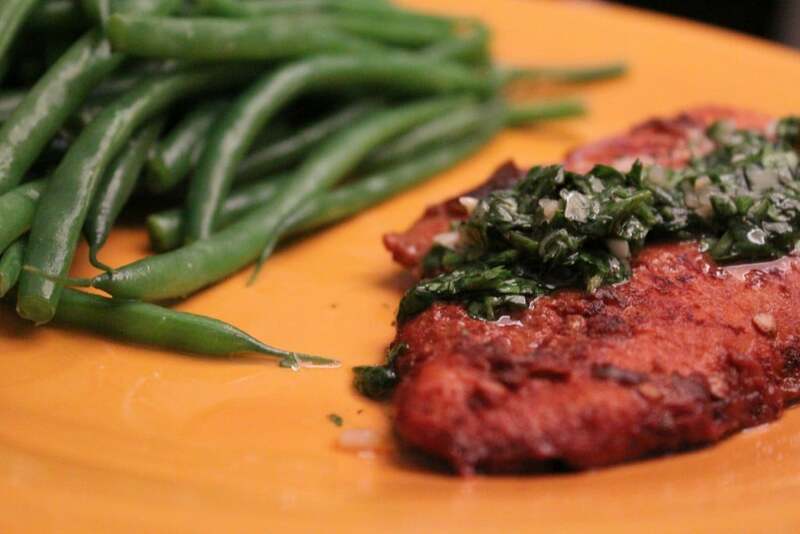 This recipe comes from one of my favorite Weight Watchers cookbooks. 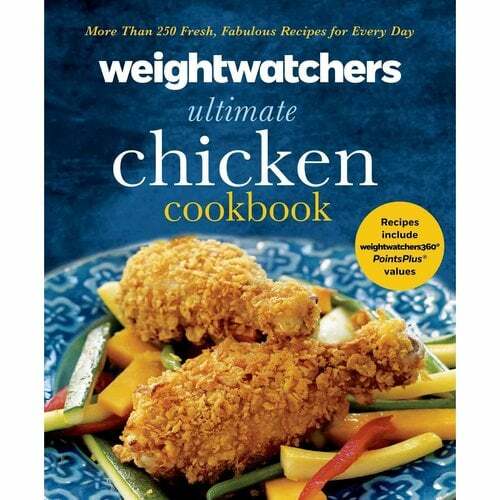 I added it to my Christmas list last year, and it’s just packed full of the best chicken recipes and this is one of them. 1. 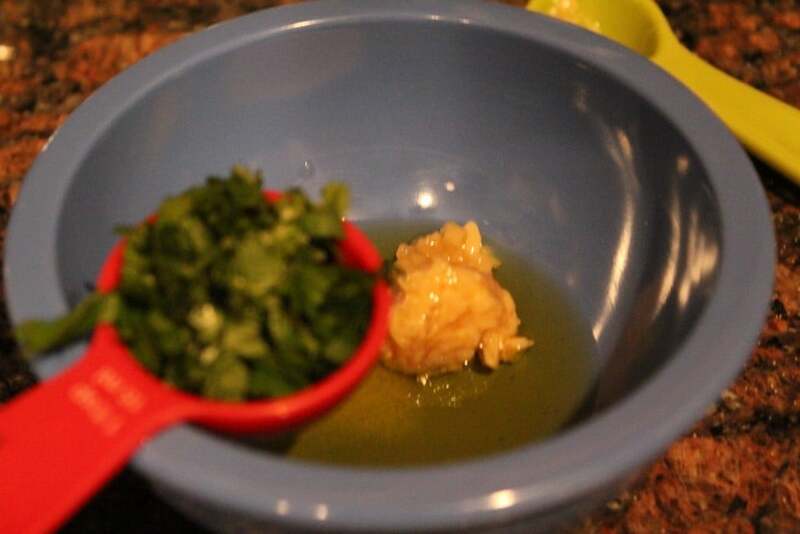 Combine 2 of the garlic cloves, the chipotles, honey, and cumin in a zip-close bag. 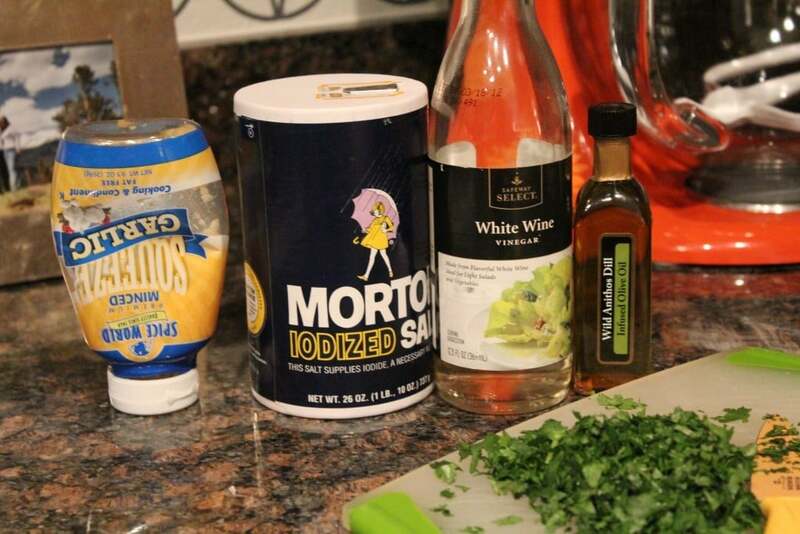 Add the chicken. Squeeze out the air and seal the bag; turn to coat the chicken. 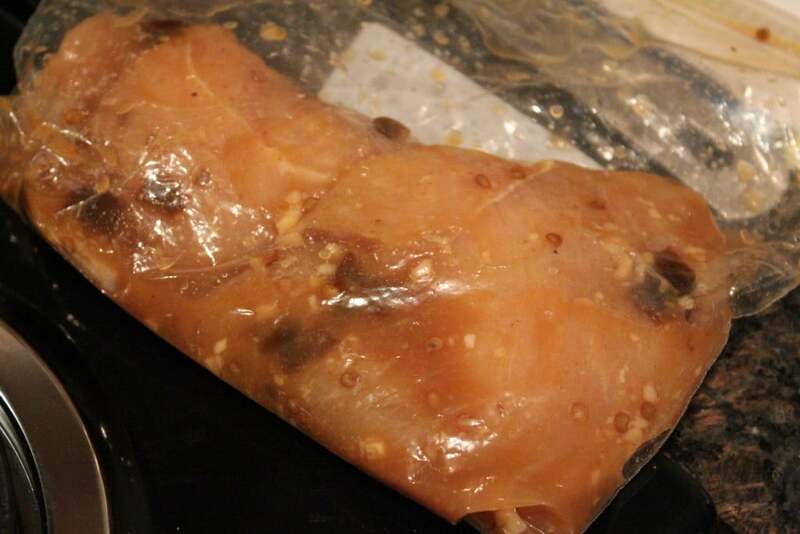 Refrigerate, turning the bag occasionally, for at least 4 hours or up to overnight. 2. 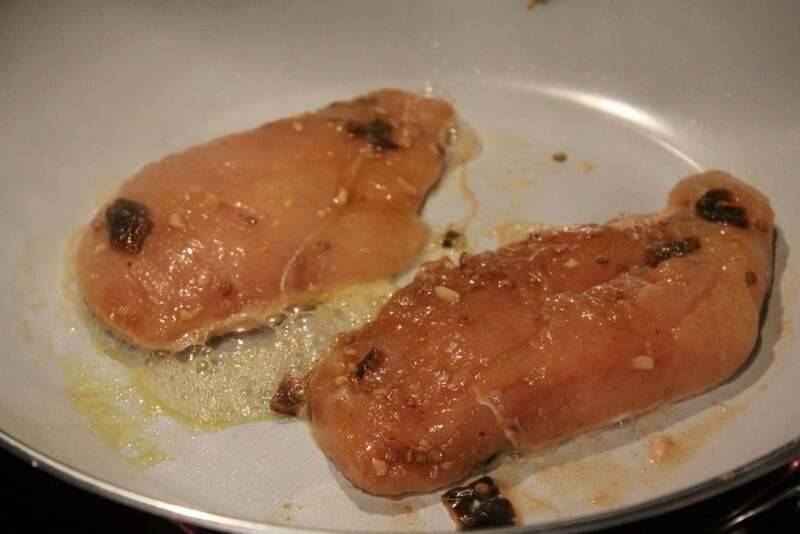 Sprinkle the chicken with 1/2 tsp. of the salt. Heat 1 tsp. 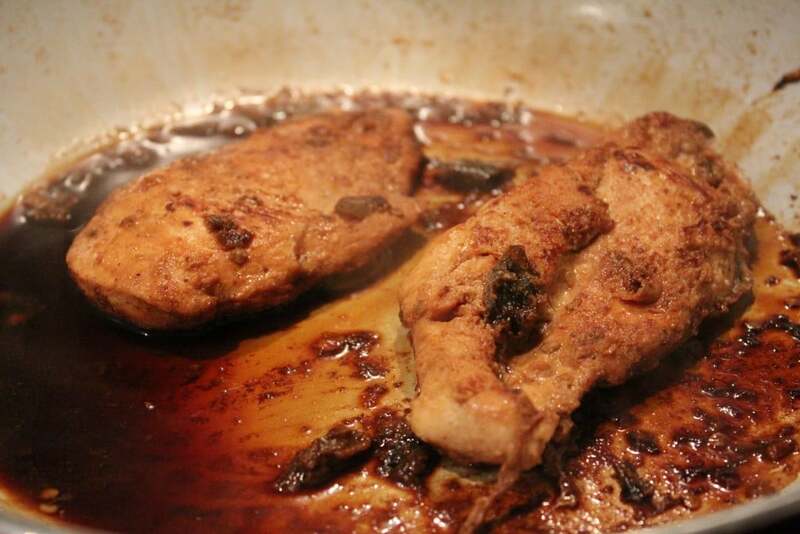 of the oil in a large non-stick skillet over medium-high heat. 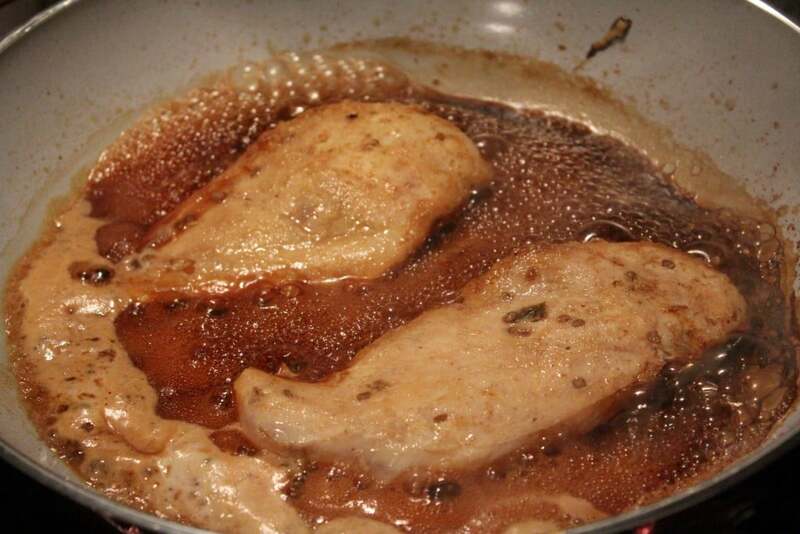 Add the chicken and coo until browned, 3-4 minutes on each side. 3. 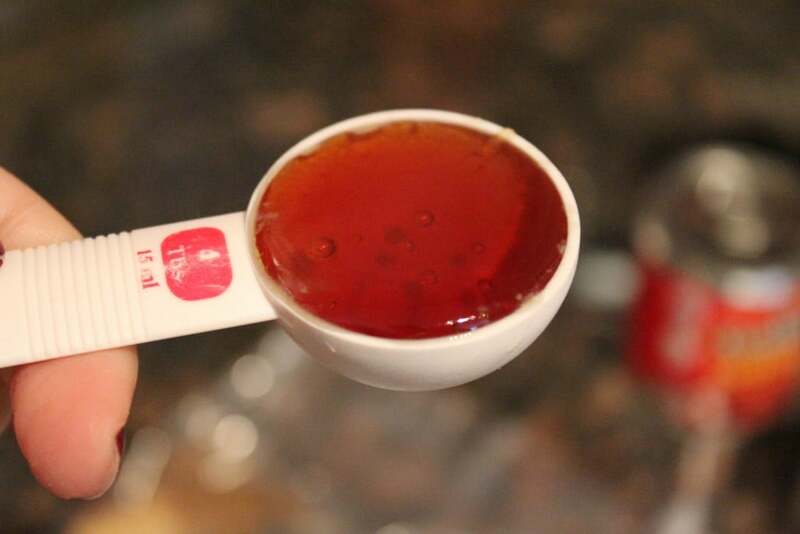 Add the broth and bring to a boil. Reduce the heat and simmer, covered, about 10 minutes. 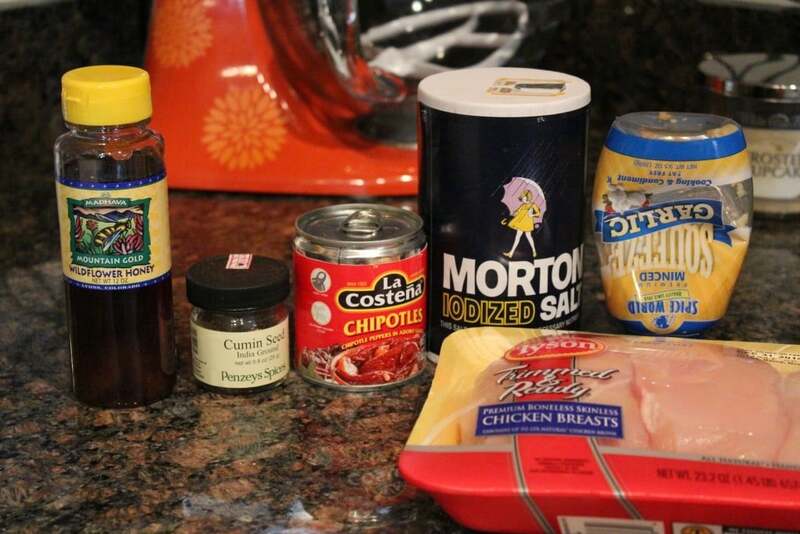 Uncover the chicken and increase the heat to medium. Cook, turning twice until the chicken is cooked through, 12-15 minutes. Discard any liquid left in the pan. 4. 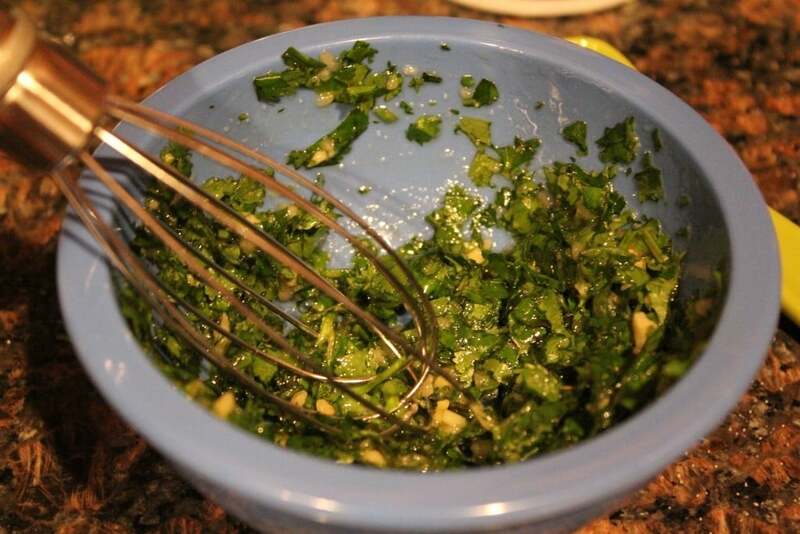 Meanwhile, to make the chimichurri sauce, combine the remaining 1 garlic clove, 3 tsp olive oil, and 1/4 tsp. 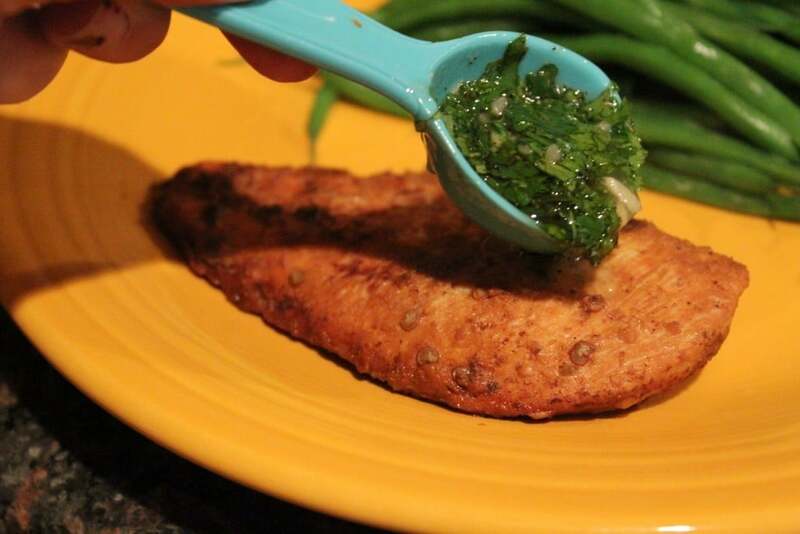 salt with the vinegar and cilantro. 5. 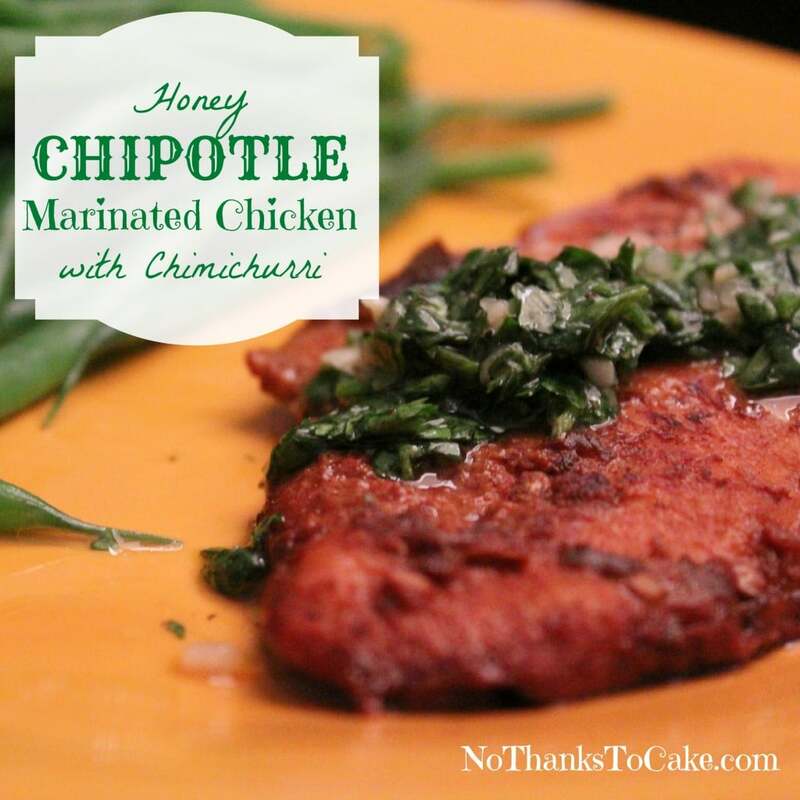 Serve chicken with chimichurri on top.